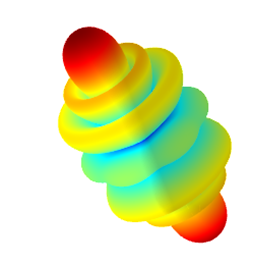 This synthesis algorithm will design a circular array (made up of multiple concentric rings of elements) for a specified directivity or beamwidth. The array is always designed so that the elements are arranged in the x-y plane (cantered around the z-axis) and main-beam radiation along the positive and negative z-axis directions. 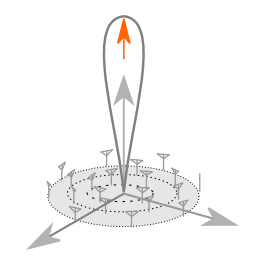 When isotropic array elements are assumed, the radiation pattern of this array will be a figure-of-rotation around the z-axis. More information about how the array synthesis tool should be used can be found in ‘Antenna Array Synthesis in Antenna Magus’ and in ‘ Help: How do I use the Array Synthesis tool? ’ (located in the Antenna Magus information browser). The latter article also describes the different excitation tapers in more detail, and provides references for further research.